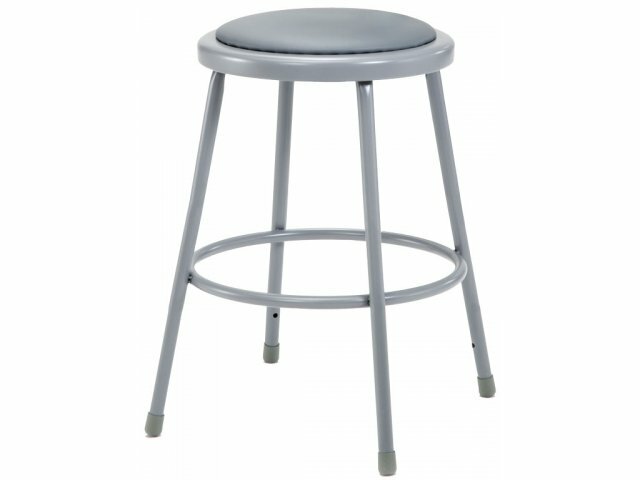 These 6000 Series Metal Stools are perfect for any lab. They come with or without upholstery. Gray frame with vinyl gray seat. Adjustable-height stools feature self-leveling glides. Adjustable legs require some assembly. 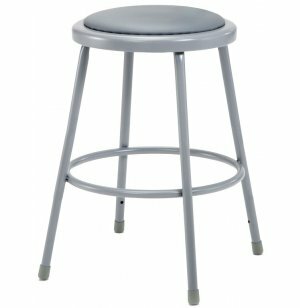 Stool Seat Size: 14" Diameter.